Before using your contact lenses, it’s important to differentiate the different solutions that you need to use to clean and disinfect them. When it comes to cleaning your contact lenses, it’s important that you follow a vigorous routine that emphasizes good hygiene. Whether you’re wearing soft lenses or hard contacts, you’ll need a special type of solution that you use to clean and store them in. This guide will talk about some of the solutions that are available to you over the counter. 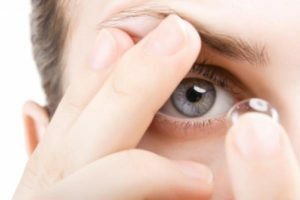 Before picking up the first type of solution that you find, you may want to speak with your doctor regarding which product works best for the contact lenses you wear. For example, Bausch and Lomb soft lenses may not work well with a hydrogen peroxide solution. But, the situations tend to vary and an optometrist can make recommendations for you. These types of solutions are primarily meant to clean, disinfect and store your lenses. With these types of solutions, you normally do not need to use any other products like a cleaner or solution for storing your lenses. The convenience of this product works well with nearly every type of soft contacts from Lens.com. Primarily used for cleaning and disinfecting your contact lenses, this specialty solution requires proper handling and care. Moreover, this solution often works well for those who are sensitive to the preservatives commonly found in other products. It is important that you never rinse your lenses with hydrogen peroxide solutions and directly place them into your eye without completing the entire disinfecting process. Doing so can cause a chemical injury to the eye that may require medical intervention.